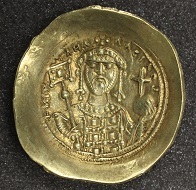 February 7, 2019 – A new exhibition, now open at the Hunterian Museum, reveals the fascinating coinage of the Byzantine Empire. Constantine I, solidus, 312-317, gold, Rome. Photo: The Hunterian. “Byzantium: A Golden Age of Coinage”, is the first exhibition of its kind at The Hunterian and showcases over 150 rare gold, silver and base metal coins from the Byzantine era (4th – 5th centuries CE). The exhibition tells the story of this turbulent period through its coinage, examining its origins, religion, conflicts, decline and legacy. Anastasius I, solidus, 491-518, gold, Constantinople. Photo: The Hunterian. For a thousand years, the Byzantine Empire dominated the eastern Mediterranean. Centred on the capital of Constantinople, it was a beacon of Roman power, Greek influence and Christian worship, which spanned the ancient and medieval worlds. 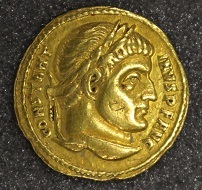 Maurice Tiberius, solidus, 583-601, gold, Constantinople. Photo: The Hunterian. A succession of emperors and empresses directed civil, military and religious affairs within ever shifting borders. Coins bearing their images were struck at mints across the Empire, and the exhibition includes a number of examples, reflecting dramatic periods of history and a golden era of coinage from an extraordinary civilisation. 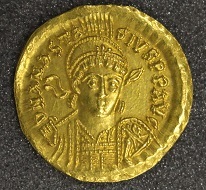 Justinian II (second reign), solidus, 705, gold, Constantinople. Photo: The Hunterian. 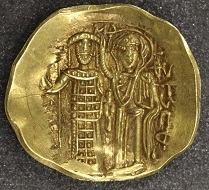 A huge variety of gold and base metal denominations were produced by Byzantine mints. Silver was less common. 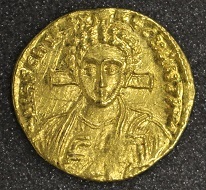 Gold underpinned the Byzantine economy, trade and taxation, with the solidus and histamenon nomisma maintaining their weight and fineness almost continuously until the early 11th century. These coins became the dominant currency not only within the borders of the empire, but also in neighbouring territories. Nicephorus II, histamenon nomisma, 963-969, gold, Constantinople. Photo: The Hunterian. All of the items on display come from The Hunterian coin collection, which is considered one of the best in the world. “Byzantium: A Golden Age of Coinage” is at the Hunterian Museum until 21 May 2019. Admission is free. 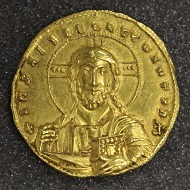 Basil II, histamenon nomisma, 1005-1025, gold, Constantinople. Photo: The Hunterian. 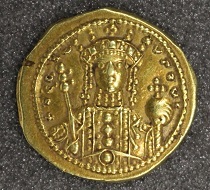 Theodora, tetarteron nomisma, 1055-1056, gold, Constantinople. Photo: The Hunterian. 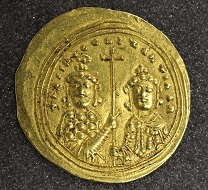 Michael VII, histamenon nomisma, 1071-1078, gold, Constantinople. Photo: The Hunterian. 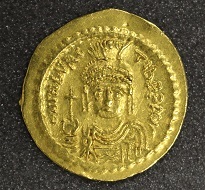 John III, Empire of Nicaea, hyperpyron, 1222-1254, gold, Magnesia. Photo: The Hunterian. More information about the exhibition is available on the website of The Hunterian Museum.